Festive season is knocking at the door and nothing is more challenging than festive fashion. Mixing and matching your apparel, contrasting colours, hyping your fashion quotient requires a lot of head banging amidst other preparations. Let us help you oomph up your fashion quotient this Diwali. Here are few of the festive must haves for your wardrobe. Linen Waistcoat are a must have for your wardrobe. 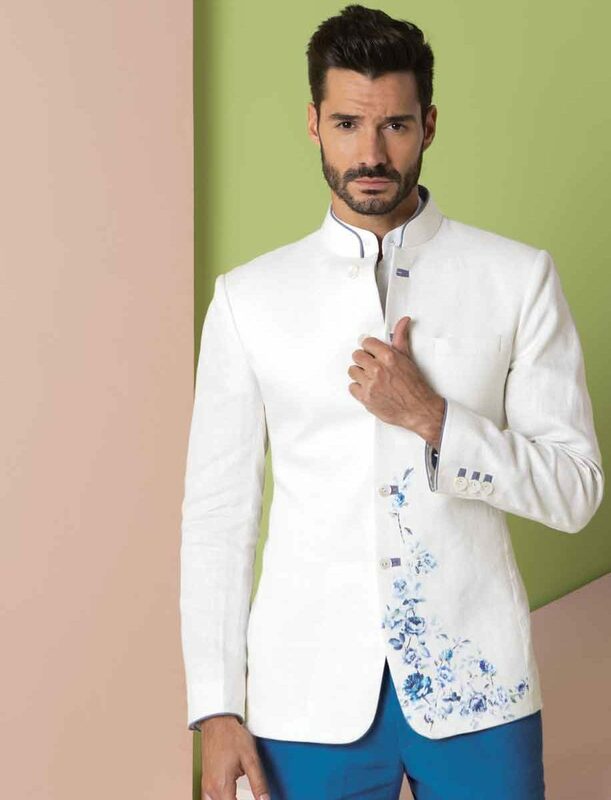 You can match and mingle your linen waistcoat with kurtas as well as formal shirt and look dapper in both. Team up your linen jacquard waistcoat with solid colour dark linen kurta for the morning puja. For parties throw in print waistcoat over beige Chinese collar shirt and be party ready in a jiffy. Give your sherwanis a rest and go for the regal choice, Bundhgalas. Linen Bundhgala is a must have this Diwali. They are flawless and are perfect choice for festive season. Try our Linen patterned Bundhgala over trousers or jodhpuri pants. Team it with Jodhpuri shoes or formal oxfords and be Diwali ready. Nothing can beat simplicity during the time of festivities. Throw in a pastel colour Linen kurta over white pajamas for morning puja. Team it with waistcoat and a dark colored pajama to give it a contemporary look. Watches never go out of style, and pocket watch adds to your style. Whichever way you want to fashion a pocket watch it will look exceptionally good with sherwani. Brooches are now back in fashion. Fashion them with your bundhgalas or waist coat and shine in the aura of fashion this Diwali. Chuck sandals for the day and choose between nagrais or oxfords for an indo-western mix and match.